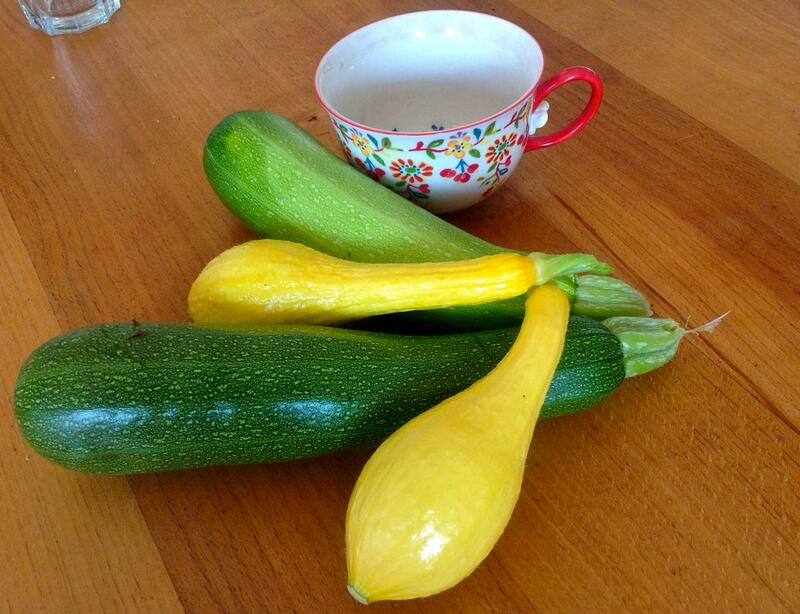 Pia is so psyched that this year we get a real bounty of summer squash from our own garden. For some reason this never worked well for us in previous years, even though summer squashes are supposedly very easy to grow. Regardless, it is such a pleasure to harvest today's dinner in your own garden and eat it as fresh as can be. Tomorrow there will be more, and the day after even more. Come for dinner!